As part of our overall content strategy, we offer infographic distribution as well as infographic design services. Infographics are powerful marketing tools that are highly shareable. We’ll utilize them as a way to build links to your website. Some of this link building involves submitting the infographic to high-traffic infographic directories for review and publication. Additional value comes from promoting the final product to blogs and other websites as a piece of new content they can publish. What makes us different? We design infographics with one thing in mind: shareability. This means that we’re less concerned about including a bunch of meaningless charts and graphs for the sake of matching common trends, and more concerned with including information that people want to know about, and presenting it in a graphical form that can be shared across multiple mediums. Some of our infographic designs are so good that people print them out and use them as wall-art and cubicle decorations. 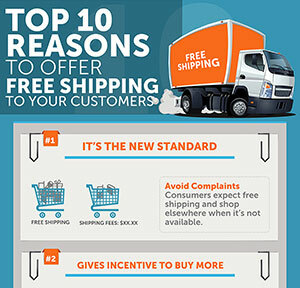 Top 10 reasons to offer free shipping to your customers. 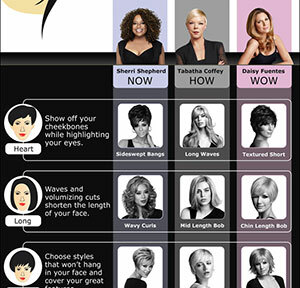 Infographic for LUXHAIR, distributed to 1,000 stylists as a hi-res, printable poster. 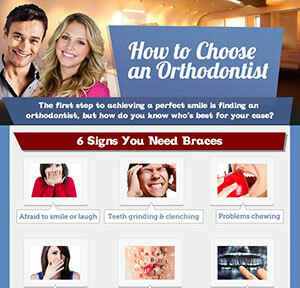 Infographic on selecting an orthodontist, designed for The Schulhof Center. 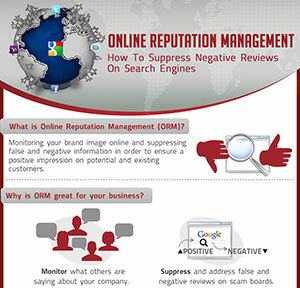 A how-to plus case study on effective Online Reputation Management, designed as an infographic. 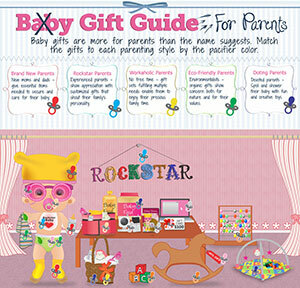 A guide for selecting baby gifts, designed as an infographic and marketed as a cute, printable poster. 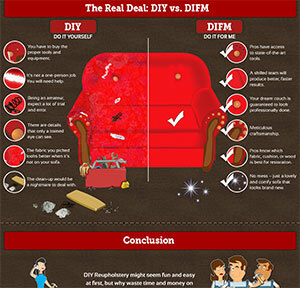 We helped Dr. Sofa compare professional services with the DIY result that no one should ever experience in this infographic. Our infographic design process begins with substantial competitor research and some keyword research to identify opportunities. We don’t just jump straight to design; we take the time to determine what’s been done already, and what interesting topics have yet to be covered. Once we settle on a relevant topic that people are interested in (based on search volume for related keywords and other factors), we develop an outline based on the chosen subject. Generally this is done in Powerpoint so that we can move sections around organically to modify the flow of the content it contains. Throughout the process, we will consult with you for feedback on the subject matter and the direction we’re going in. When you’re happy with the content, it’s time to move to design. We’ll select photographs and product images to include in the design, and will often develop custom illustrations as well. We run the design through several rounds of revisions, and let’s just say that we’ll be shocked if you are anything but amazed by our final product. The last part of this process is distribution. We start with posting the infographic directly to your website so that you get credit with Google for being the first place it shows up. After the page is indexed, we’ll start posting it to infographic directories, Pinterest and other social media. The final phase is ongoing blogger outreach and publicity, depending on budget. We research relevant blogs, online newspapers, e-zines and other websites that are relevant to your topic, and we pitch them on publishing your infographic and linking back to you as the source. While this is happening, we might even pick up a few re-posts organically as people find the image on the web. When you’re ready to try infographic marketing, talk to us. We’re not just a design shop that churns out pretty images. Our infographics are designed with one purpose in mind: to be syndicated and shared in a way that builds links to your website and positions you and your brand as an authority as it is consumed by thousands of people.